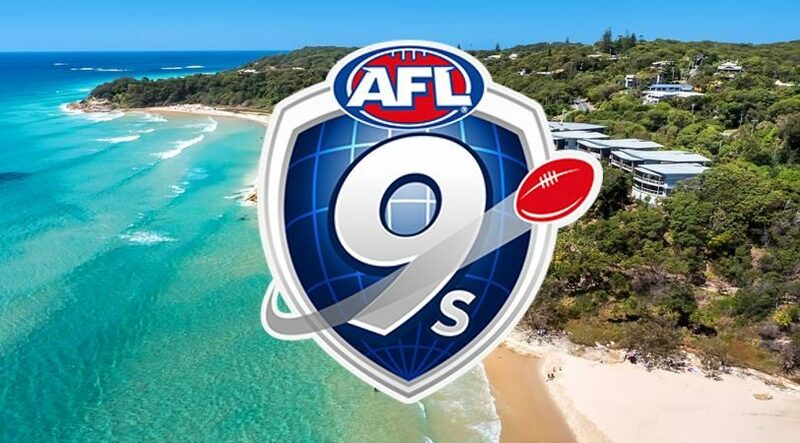 The countdown is on for Island Nines: AFL9s on Stradbroke Island, which kicks off for the first-time next month on February 23 at the Dunwich Rugby League field. Island Nines will mark the first time AFL9s will cross the bay to North Stradbroke Island and to celebrate its inaugural celebration, we’re looking for more teams to partake in the fun. At the event, teams from across Queensland’s south east will compete to be named the first ever Island Nines champion. As part of the event, all participating teams for the Island Nines competition will receive free travel on the Stradbroke Flyer to and from North Stradbroke Island. AFL Queensland Schools and AFL9s Programs Coordinator Kat Julius is excited to be involved in this year’s event. AFL9s is the AFL’s social version of the game – a fast, modified game that involves nine players on each team playing on a modified field. The fast, free-flowing pace of the game is the best way to play football socially with your mates. For more invitation regarding the Island Nines, please contact Matt Bateman on Matthew.Bateman@afl.com.au. Have your say! Follow AFL Queenslad on Twitter (@aflq), Instagram (@aflq), and Facebook (www.facebook.com/AFLQueensland).